Enjoy your free time and let us take care of the busy work! 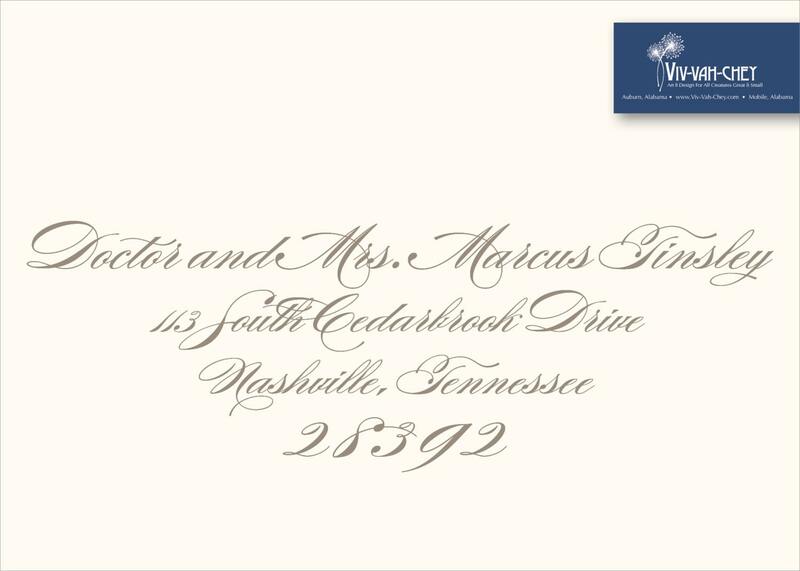 It's simple, just copy or type your addresses in our .xls provided template and we will mail merge your addresses in the corresponding font to compliment your invitations. 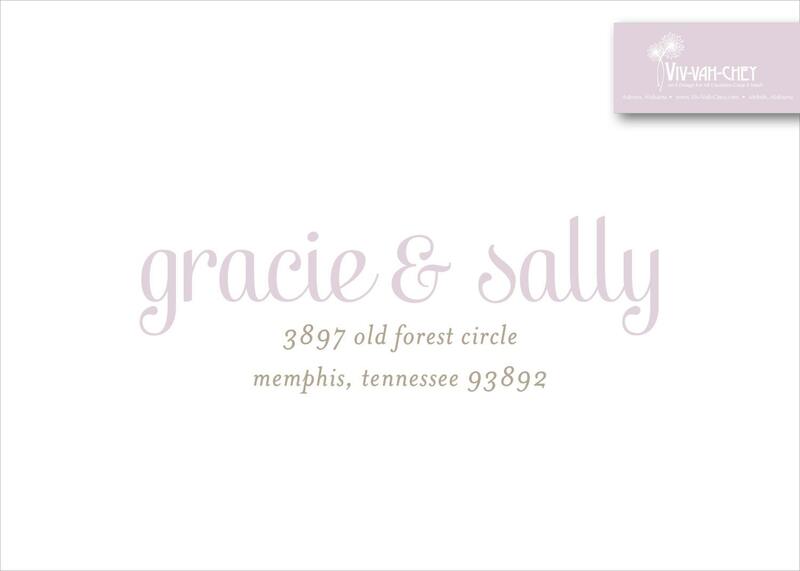 We take the time to hand match the color to your printed product, as well as uniquely format text placement for each envelope. 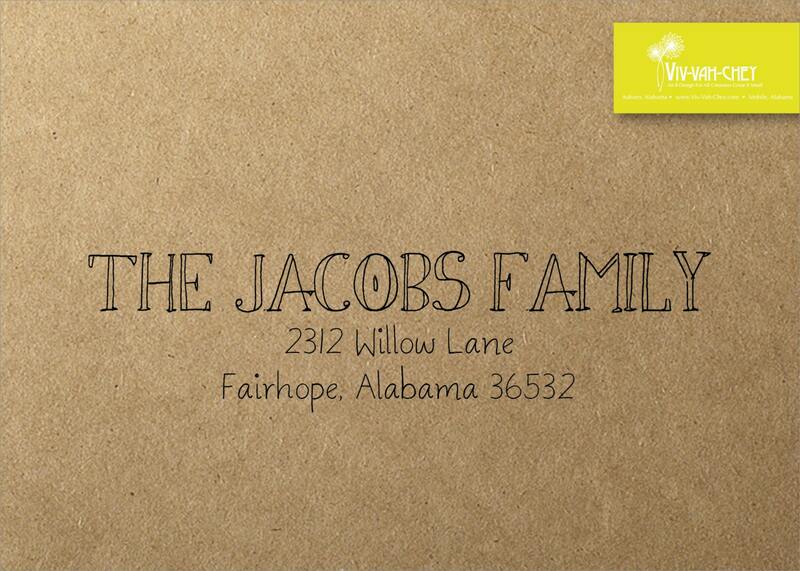 Your guests will be delighted to receive and open their invite...they might even save their beautiful envelope too! 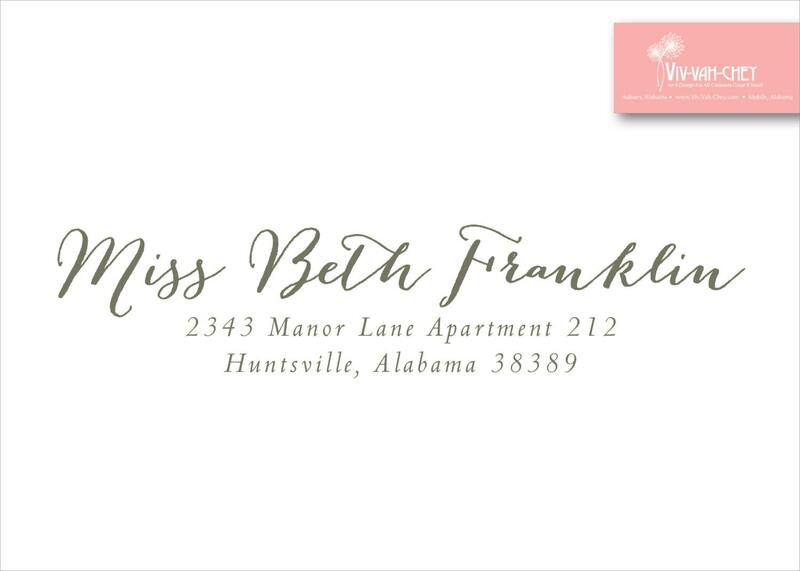 This listing is for recipient address printing to correspond with your Viv-Vah-Chey invitation purchase. 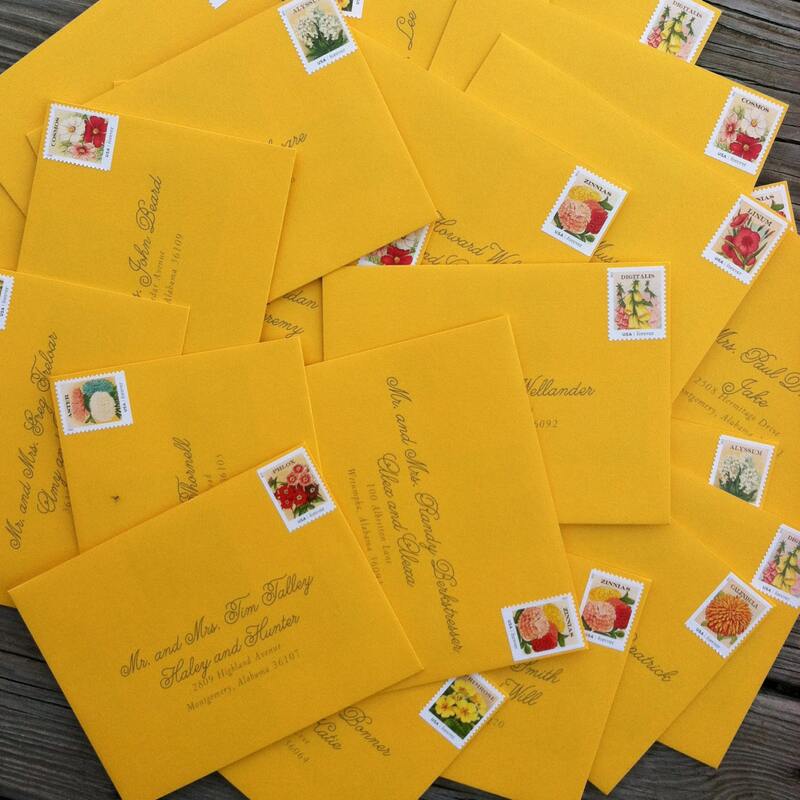 Make sure to select the number of envelopes you need printed based on the number of invitations you purchased. Upon purchase, you will be emailed our xls template. Simply copy and paste or type in your address data in the corresponding columns and email back to us. Once we have received your file we will return a PDF proof for you to double check all of your addresses before printing.